What’s the secret to really enjoying your life? Find something you like and figure out how to get paid for it. That’s why I’m in digital marketing. I love what I do. 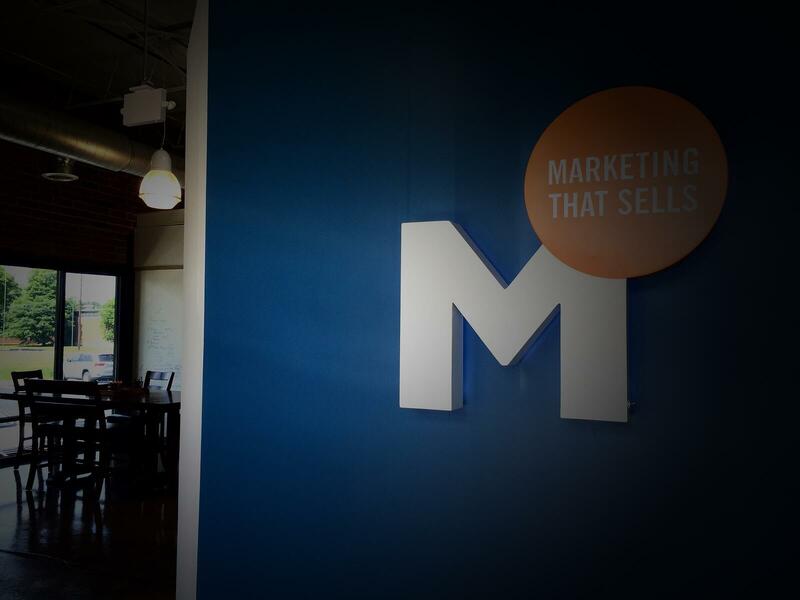 I’ve spent almost a year now in my role at Marsden Marketing, and I’m excited to share an exclusive look at a day in the life of an inbound marketing specialist. 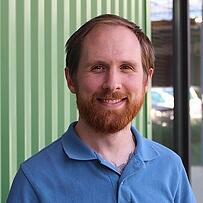 What does an inbound marketing specialist do? 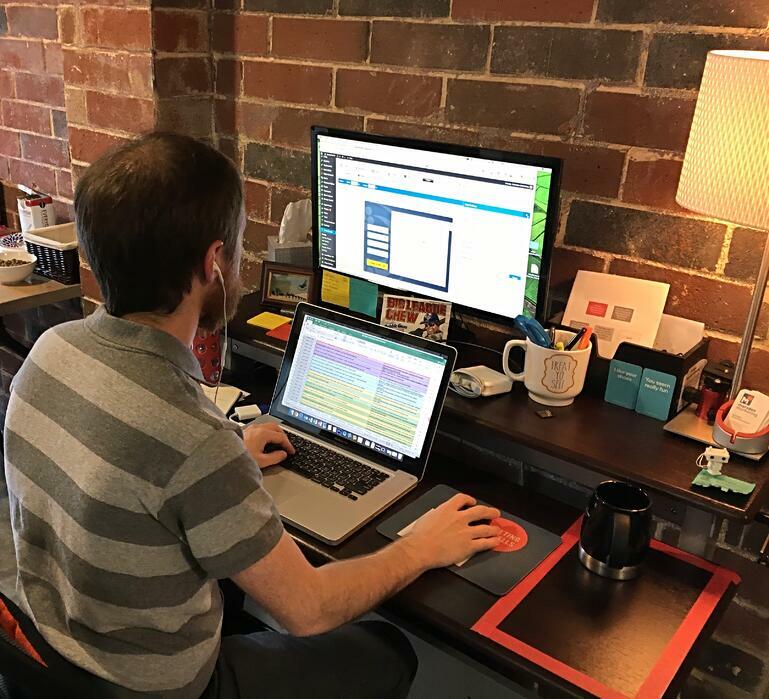 An inbound marketing specialist is responsible for using our marketing automation platforms to manage multi-channel marketing campaigns and distribute content to the right audience at the right time. It’s like a good barista who makes very specialized drinks for specific customers, with the goal of turning them into repeat customers. My day starts off like most people. Coffee. 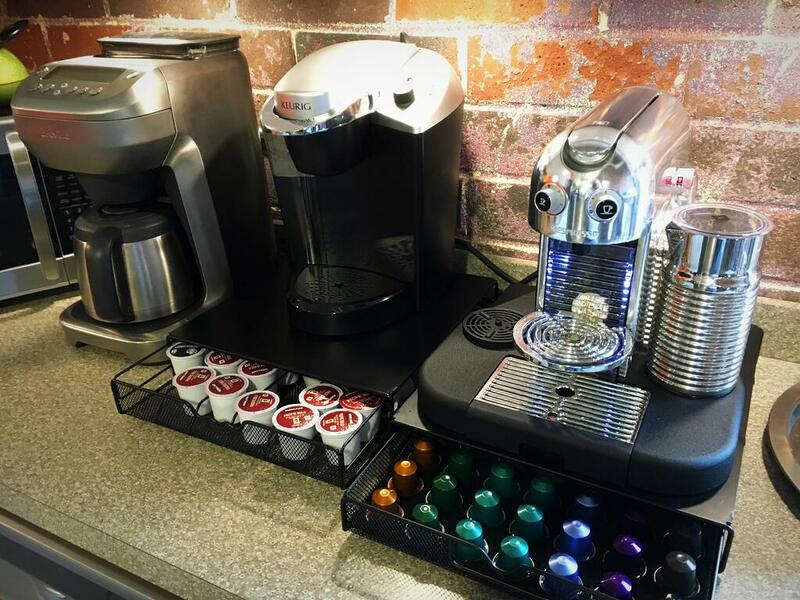 Our office has three different types of coffee machines, which reminds me of Goldilocks and the three bears. There’s one that’s just right for everyone. After the caffeine kicks in, I spend a few minutes monitoring social media platforms for different clients. You don’t want to be caught off guard with a Twitter schedule that stopped posting, or worse, a hacked feed. Next, I attend my team’s daily scrum meeting. It’s a standup meeting where everyone on my team talks about what we did yesterday, what we are doing today, and if anything is standing in our way. A second cup of coffee usually follows this meeting. The rest of the morning is focused on the main priority on deck. Usually, I’m creating an email or building out workflows for the next campaign we are about to roll out. It could also be focused on revamping a landing page or digital display ad that isn’t performing as well as we want it to. Lunch, if it’s Thursday, is usually a food truck outside our building, but our Marsden kitchen is also stocked in case I forget my lunch or need a second breakfast. Most of my meetings with clients are in the early afternoon, which is usually accompanied by another cup of coffee. 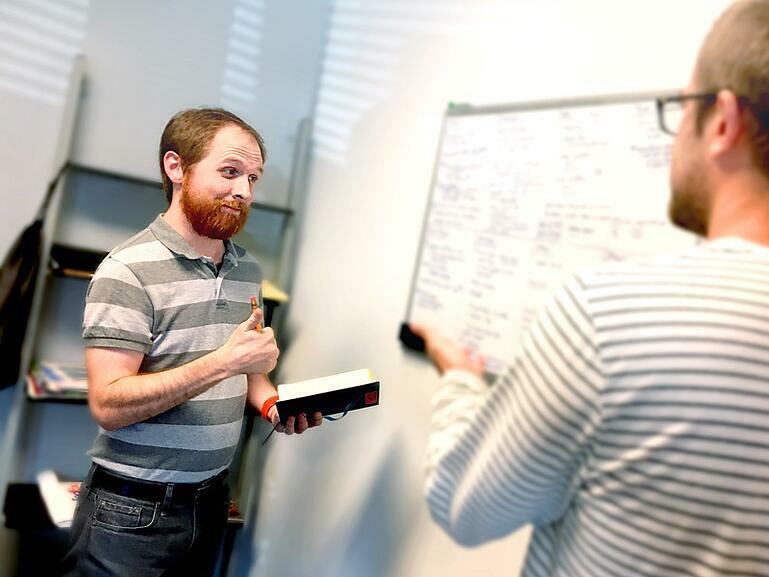 I don’t generally have a lot of meetings during the week since Noah, my team’s client success manager, will handle most of those, but I am brought into meetings where my input is needed. The rest of the afternoon varies depending on what needs to be accomplished for that day. It could be keyword research for PPC campaigns, continued SEO for client websites, reporting and analyzing campaign performances, or a few other things loosely related. Marsden has become one of my favorite places to work. You’re probably thinking, “You have to say that; you are posting a blog about it.” I can see how it might look that way, but I love that I have opportunities here to learn and grow in new areas of digital marketing. I love that my team encourages each other and makes me feel like I can ask for help whenever I need it. I love that the leadership wants to hear any concerns I have and is open to changes that make sense. You would think that the elements of my actual work would be my favorite thing about my job, but it’s the environment created around my work that makes me love my job so much. When I tell people where I work, the first response is usually, “You get to work next door to a brewery?” (Marsden is located off Monroe and Armour drives, and Sweetwater is our neighbor.) After that’s out of the way, I’d say most are surprised about the process of inbound marketing, how much work goes into it, and how every company should probably be doing it. I wish more B2B company owners would ask me about my job, too! Any advice for someone interested in joining Marsden Marketing? If you are interested in inbound marketing, the best advice I can give you is to get the HubSpot Inbound Marketing Certification. It’s free, and it will give you a good sense about whether you might want to make a career of it. Then, after you pass the test and get your certification, come apply for a job so we can work together. Just remember: a job doesn’t feel like work when you enjoy what you do. P.S. If you're interested in learning more about inbound marketing, we write about it weekly.